We have been in business since 1967 and have been managing residential properties in Oregon for over 30 years! We perform this service for nearly 1000 single family, commercial, multi-unit and small apartment communities all around Oregon. We are open 5 days a week with a full time staff, bookkeeping department and experienced property managers for your convenience. We look forward to working with you! Below is some information about our company and the services that we provide. Please feel free to contact our office if you are interested, or if there are any other questions that you may have about making us your Portland property management company of choice. To provide a full range of property management services to owners of residential and commercial properties that result in selecting a qualified tenant, securing the highest rent and insuring the structure/grounds are maintained in a safe and proper condition. Upon completion of inspection, we will make recommendations to the owner regarding competitive monthly rent and conditions for care and maintenance. Provide a written Property Management contract to clearly define the terms of the management agreement. Advertise, show the property, and thoroughly screen each applicant (This includes a full criminal, credit (with FICO score), eviction, check as well as verifying income, past residences and references if applicable. We've worked with our advertisers for years and get a significant discount that is passed on to you! We work directly with www.rentalhomesplus.com to market your home on a National level through other top sites like www.apartments.com, Google and more! 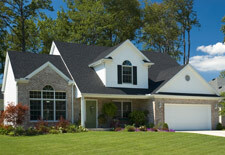 Your home will also be featured on our website at www.mcneeley.com, www.craigslist.com, & www.postlets.com. Maintain necessary and agreed upon utilities while property is vacant. This includes turning utilities on and off into our name while the home is vacant and paying vendors and utility companies on your behalf. Upon the tenant move in, do a thorough walk-thru of the home, sign the lease agreement and fill out necessary state required documents. Mail/email a copy of signed paperwork to the owner. Regularly inspect the house and work with the owner and tenant to insure that the property is being maintained and cared for and that needed repairs are accomplished. We will provide bids if necessary for required repairs to the home and work closely with vendors to see that the job is completed. Collect rent checks and security deposit on owner's behalf which are kept in a FDIC insured Portland bank. Provide each owner a monthly financial statement. We can also direct deposit your checks directly into your bank account or mail your funds to your address. For your tenant's convenience we provide a 24-hour day rent drop box; we have a Property Manager on call after office hours, weekends, and holidays in case of an emergency; all maintenance contractors must meet strict standards to ensure the highest quality of work is being done. All of our property managers are licensed with the Oregon Real Estate Agency. Online and printed support for tenants with instructions and recommendations on preventative maintenance Coordination of common problems over the phone when a repair person is not needed. Drive-by inspections with a written report may be performed regularly. We also produce a complete digital photographic record of the property at each interior/exterior inspection at no extra charge. All inspections are standard to our service and are provided at no additional cost to you. Among other things, we check furnace filters, smoke detectors, C0 detector(s), grout/caulk, glass and screens, all kitchen and bathroom plumbing, and much more. If a problem is found to exist, we can quickly implement corrective action. Through this policy, we feel that unnecessary repair expenses can often be diminished or eliminated. We send owner funds with a detailed accounting statement earlier than most Portland management companies on or about the 10th of every month. We can provide you with funds even quicker through direct deposit to your account. We will also provide you with a 1099 and cashflow/expense report every January. This makes tax time easy and accurate! Having difficulty with a delinquent tenant? We will attempt to resolve the issue or we can work in tandem with our eviction service provider to process an eviction to get possession of your property restored to you. Landlord Solutions works on a flat-fee basis and specializes in evictions. We will serve your tenant the proper legal forms, process all the necessary paperwork and will even represent you in court if the need arises. As professionals, we constantly strive to provide the most current information, and stay on top of changes in Federal, state and local laws and codes.